Decisions can never be evaded, especially the ones related to our career. In class 10th we take our first career decision when we decide what stream to pursue, and then in class 12th, marks become the most crucial milestone on this long journey. The process of career decision-making is different for everyone – they have a different perception and attitude towards careers. Some, even to this day, base their decisions to popular hearsay and peer pressure. For this very reason, I decided to get in touch with my peers, and friends, to find out how they took their career decision. Aayushi, a 17-year-old medical student shared with me how she decided to pursue science based on her exceptional performance in subjects like physics, chemistry and biology. Further, her regular participation in science exhibitions and Olympiads made her confident about her decision and further strengthened her vision with respect to her career. She had participated in a national level science exhibition conducted by CBSE in 2015, which gave her maximum exposure, and further kindled her passion for science. She aspires to become a cardiac surgeon one day and believes that her achievements so far have made her optimistic about making her dream come true. One of the most common ways of deciding which career to pursue is by analysing one’s academic performance and exploring a career in the subject at which one excels the most. Many of my classmates decided to play to their key strengths and use their academic performance as a reflection of their interest and aptitude in a particular subject. Participation and merit in various co-curricular activities also enable one to identify one’s skills. Participating in as many different kinds of activities as possible, facilitate an understanding of what interests us the most, and what we are the best at, hence, enabling us to make wise career decisions. Shreyas, an 18-year-old commerce student, told me how he got inspired by his uncle who is a Chartered Accountant. He dreams of becoming as good an accountant as he is, someday. Listening to his uncle’s experience in Chartered Accountancy aroused his interest in the field that lead him to explore the career further, do his own research to find out options, following which he decided to pursue the field. 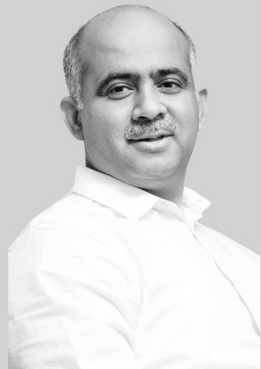 He told me how watching his uncle’s work and lifestyle made him more inclined to Accountancy and made his career decision firmer and stronger. Our family members offer us valuable guidance as their experiences help us understand the pros and cons of a particular career decision through empirical evidence. Many students get inspired to opt for a particular field after marvelling at their parents, relatives or cousins who were in the field of their choice. Besides that, students also develop an aversion to certain kinds of careers because of witnessing their effects on their family members and their lifestyles. Many may mistake this for family influence, but it isn’t. Talking to our well-wishers and discussing their career paths helps one get first- hand information about careers, and how one right or wrong decision can change a person’s life. My friend Rukhsaar, 18-years-old, and a humanities student told me how her career decision was led by a simple paragraph she read in her civics textbook. The concept of Fundamental Rights led her to find out specific cases, where such rights were breached, and eventually steered her to discuss the same with her teacher, and classmates. This sense of understanding, which motivated her to walk an extra mile, ignited her passion for legal studies, which has become stronger since then. She aspires to become a lawyer someday. This is one of the most interesting ways some students use. A lot of my classmates revealed that they knew which career they wanted for themselves after going through a particular experience in life and gaining insight. This shows that how even small and seemingly insignificant events of life can influence one’s career decisions greatly. Being conscious and alert to our experiences and having situational awareness can make our career decisions less confusing. Alisha, 15-years-old, a 10th standard student and a national level handball player, talked to me about how she is no longer hesitant or afraid to venture out and explore a career in sports. As more and more incentives are being given to sportspersons, and greater opportunities and emerging for them. Her strong belief is now reinforced by support from her parents and has inspired confidence vis-à-vis her career choice. She plans to pursue her undergraduate and postgraduate studies in the field of sports medicine, while continuing to play handball. Courses and career options that gain media popularity, gain twice the aspirants. A lot of students revealed how the careers which were being talked about and were being highlighted on social media aroused their interest in a greater way than others. Interest in the fields of Psychology, Culinary Arts, Sports and Athletics, etc. have seen a spurt after they’ve been popularised through films, articles, videos and TV shows, etc. Media opens us to a vast variety of opportunities and makes us aware of courses that are unconventional and new which expand our career options manifolds. The key is to use this opportunity to be aware, not be influenced. Ankit, a 22-year-old B.Tech student, still regrets taking up non-medical in this 11th and 12th simply because of parental pressure and the social prestige associated with the science stream. He told me that he had a keen interest in History but did not think about pursuing the subject as his parents, relatives and friends; all were prejudiced against arts subjects and told him to take up science. He is now unhappy and remorseful while doing his under graduation and is also insecure about his future. When I asked if he could change his career path after completing his graduation, he replied that he didn’t want to let his parents down, or take the risk of changing careers at this stage. It is astonishing to see that even today some students pay heed to what their family, relatives, and friends want, as opposed to what they want from their career. The communication gap between parents and the students still plays a key role in such situations. Lack of interest and unawareness are major reasons why students don’t actively take a stand for themselves and their desired career option. Many students revealed how they simply chose a stream according to the wish of their parents. Parental and peer pressure continues to affect student’s career decisions, especially in the case of science streams, as they are considered to be more secure and conventional according to some parents. Recommended Read: Ask a Career Coach: How Should I Convince My Parents to Let Me Pursue My Dream Career? My career decision was greatly influenced by the results and interpretation of the scientific career assessment I took. The assessment helped me choose a career in sync with my strengths, personality traits, interest, skills, and intellect. I am at the moment, pursuing English (Hons.) from St. Stephens College, University of Delhi. I hope to become a lecturer, and career counselling and effective advice by the experts involved in it helped me take this decision. 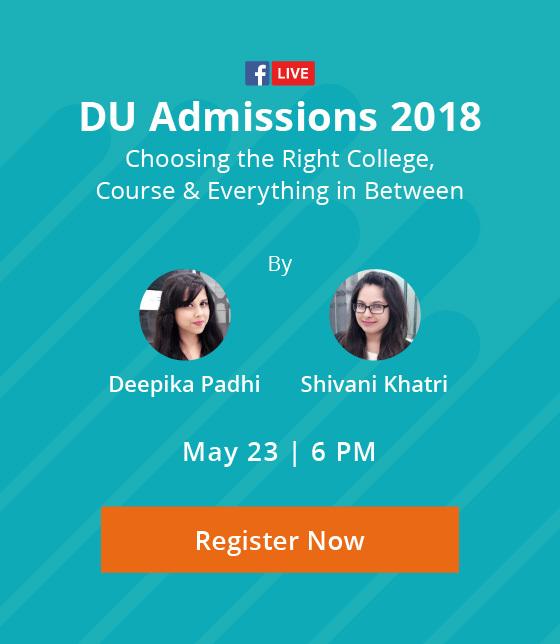 I was able to join one of the most prestigious colleges in the country because I scored great in my board exams, and thus landed my desired course and college. 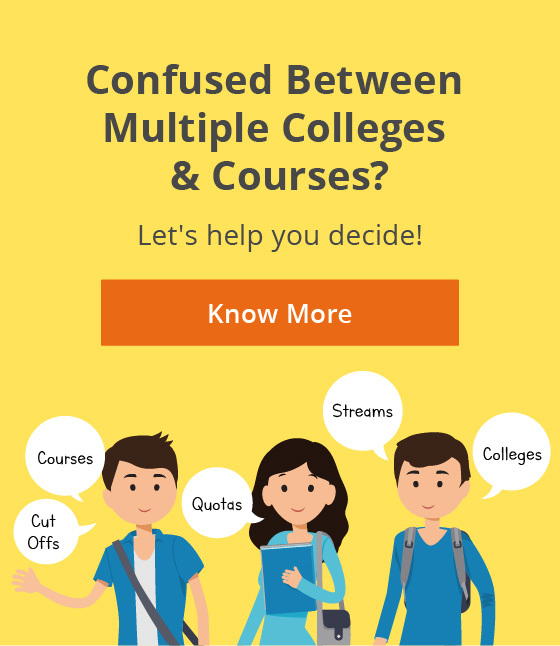 However, many students are not able to make it to their desired colleges and courses, and they consider class 12 results to be the ultimate evaluation of their capabilities; however, this is far from true. Even if someone has scored a lower percentage they still have a lot of career options that will give them opportunities to prove themselves in the future. Such students can benefit from seeking expert advice and career guidance that would help them make the right decision and not lose hope. As students and parents are getting more alert and astute regarding their career choices, seeking guidance through expert career counsellors is now gaining unprecedented popularity. Through various scientific methods, devised to study personality, interest, aptitude and various other traits, students get a clearer picture and thus are able to take a decision confidently with reduced bias and uncertainty. Instead of getting disheartened by a poor result, students can act wisely by taking the help of experienced career counsellors that can guide them. All these ways fit different people differently. A career decision is like the first block of a domino chain. A right decision would make everything fall into place correctly and as desired; however, one wrong move and the whole arrangement might suffer. A right decision at the right time has life-changing effects so it’s only wise to find a way that enables and empowers us to not only choose our career path but also to walk on it with determination. Success has many determinants, decision making being the most crucial of all. Be patient, be astute and get it right! Have anything to add to this post? Share with us in the comments! Need help finding the path to career clarity? Arzoo is a student ambassador with Mindler and is currently a first year English Hons. student at the prestigious St. Stephens College, University of Delhi. 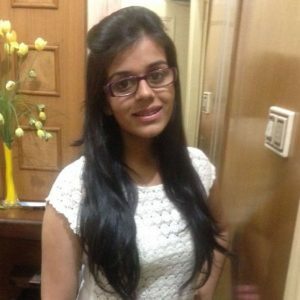 She hails from the city of Chandigarh, is a voracious reader and hopes to be a college lecturer some day.